30'x40' Bank Barn built to be used as a secondary house/apartment. This barn is built with poured wall foundation covered with decorative layer of bricks, wooden Pine board & batten siding and large windows. 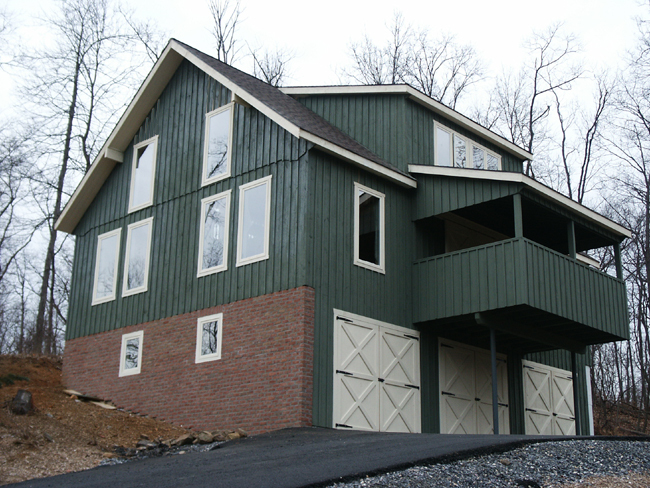 Options include 24" gable overhangs, shed dormers on roof and covered deck.